We can do everything! Beginning with the design, print or vinyl cut finishing with the installation! We believe our work speaks for itself. 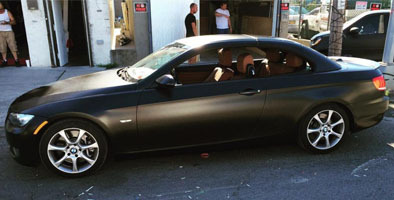 Our representative work in car wrapping, vinyl cut and other services. 100% professional car styling. Your minivan with car wraps can be used not just for transportation of materials, but also as an effective advertising platform! Our award winning design team is ready to handle any challenge. Whether it’s creating a new logo, developing a national sign program, designing a comprehensive sign program for a retail center, or producing fabrication drawings for you concept, we are up for the task! We currently provide a vinyl cutting service for several sign and graphic companies, offering a service to small companies with limited facilities as well as large companies who give us their surplus cutting work. At DTMSIGNS using our great depths of print knowledge, we can work out, advise and guide you on the most cost effective ways to make your printing do exactly what you want it to do, for less! Our objective is to save our clients considerable amounts of money on their printing, without compromising on quality and the effect of print. We’ve handled installation everywhere from New York City to New Jersey, Washington. Companies around the country rely on us for on-time, professional, high quality installations. HOW TO MEASURE THE VEHICLE? Run a tape measure along the SIDE of the vehicle from bumper to bumper. You must account for any modifications like spare tires, roof racks, etc. Height should be measured from the vehicles highest point. Businesses can benefit greatly from investing in vehicle wraps and graphic design, yet with several misconceptions swirling around about the product and its application process, it’s hard to know what to believe. Businesses can benefit greatly from investing in vehicle wraps and graphic design, yet with several misconceptions swirling around about the product and its application process, it’s hard to know what to believe. As Brooklyn, NY’s top car wrap specialist, DTM Signs and Truck Wraps is here to reveal the truth about some of the most common myths out there. Vehicle wraps and graphic design provide businesses with a unique and eye-catching marketing solution that effectively works to draw in clients. 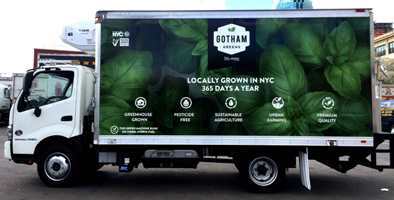 Contact DTM Signs and Truck Wraps at (347) 312-5488, or visit them online to browse past projects. 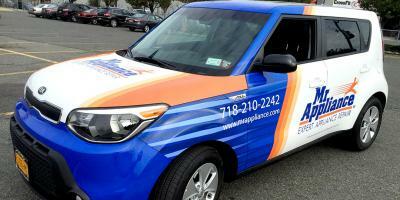 We are a car wrap and truck wrap company located in Brooklyn, New York. Corporate & Custom vinyl vehicle wraps for your business. Huge variety of colors and finishes. Matte, gloss, chrome car wraps. Leading company in Car wraps and Truck wraps in NYC!